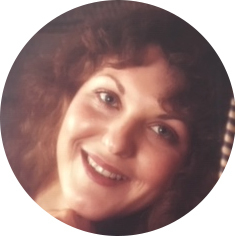 It is with profound sadness that we announce the passing of Shelley Ruth Robinson, aged 62 years of Moose Jaw, SK on Monday, November 19th, 2018 following a courageous battle with COPD. Shelley was born to the late Hilda Alice Ripley (née: Rapley) and Harold Samuel Waldner on July 24th, 1956 in Regina, SK and moved to Moose Jaw in 1967 with her parents and siblings. She attended Palliser Heights Elementary School and Central Collegiate High School. She was predeceased by her mother and father; step-father, Bert Ripley; and brother, Richard Waldner. Shelley is survived by her loving and devoted husband, Darryl (married September 24th, 1983); children: Briony Oliver, Rebecca (Albert) Hender, and Sarah (Bryon) Lynx; grandchildren: Brittany, Bryden, Braxton, Jordana, Samuel, Jasper, Emma, Shae, Bryson, and Paul; siblings: Angela (Kim) Itagawa, Bev (Brian) King, Gloria Mitschke, and Kent Waldner; her BFF, Delee Cranston; and nieces and nephews. Shelley had many loves in her life. She captured Darryl’s heart when he was in Grade 3. Darryl always said he was going to marry her someday. They shared thirty-five memorable, eventful and loving years together. She had a love of sports. From being an all-star basketball player in elementary and high school, to being an avid, life-long Saskatchewan Roughriders fan. Shelley also spent many years bowling in different leagues and always boasted how her highest average score was 211. As well, she played several years of softball for Beattie’s Autobody, where she was an outstanding first baseman! She had a love and appreciation for music that she passed down to her kids and her three oldest grandsons. From Supertramp to Michael Bublé, Bruno Mars to Metallica, she loved live music and the number of concerts she attended over the years is endless. Animals were her passion! She took in, cared for, nurtured and raised many pets, both domestic and wild, her entire life. Her love of animals was beyond that of most. She treasured and loved each and every household pet and they loved her just the same. She was a loving and caring mom and grandma. She had so much concern and always worried about her kids and grandkids. She looked forward to when everyone came home, the family gatherings, the noise of all the grandkids running around the house, playing games, reminiscing and having a good laugh at your expense! In keeping with Shelley’s wishes, as she did not want a funeral to mourn her passing, in the spring we will be holding a celebration of her life. In lieu of flowers, donations may be made to The Moose Jaw Humane Society, Box 1658 Station Main, Moose Jaw, SK S6H 7K7 or the Canadian Mental Health Association, 650 Coteau St W, Moose Jaw, SK S6H 5E6. To Darryl and family, I was sorry to hear about Shelley’s passing. Thinking of you during this sad time.